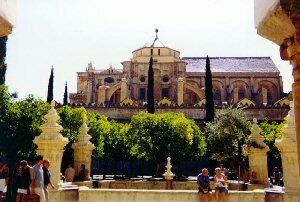 C?rdoba is a city in Andaluc?a, southern Spain, and the capital of the province of C?rdoba. Located on the Guadalquivir river, it was founded in ancient Roman times as Corduba by Claudius Marcellus. Today a moderately-sized modern city, the old town contains many impressive architectural reminders of when C?rdoba was the thriving capital of the Caliphate of C?rdoba that governed almost all of the Iberian peninsula.